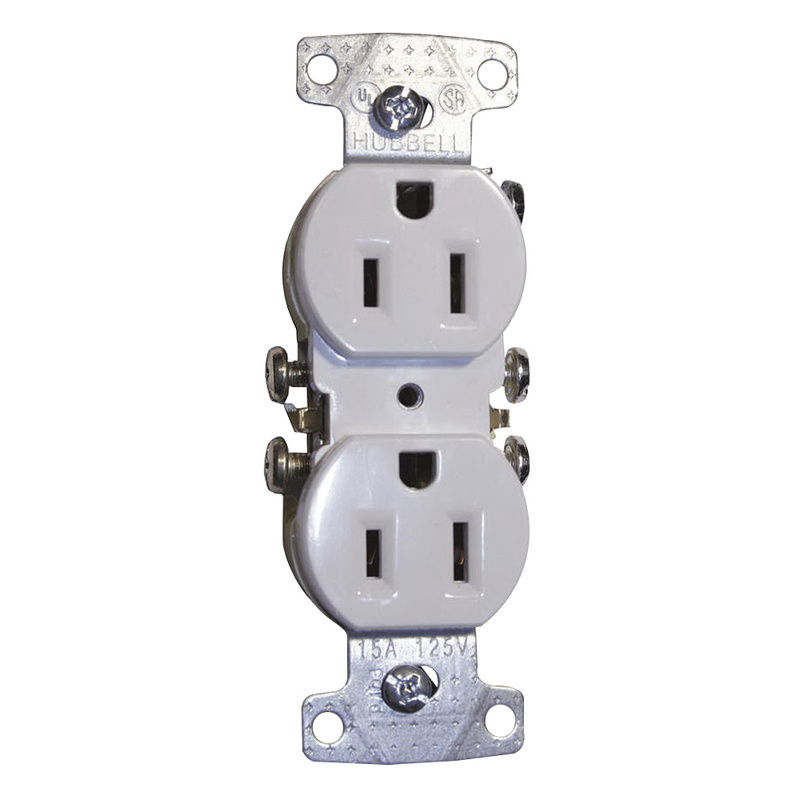 Hubbell-Wiring TradeSelect® Traditional straight blade duplex receptacle in white color, has a unique design with high impact and chemical-resistant, thermoplastic construction for long-life durability. This 2-Pole, 3-Wire receptacle features steel strap and brass contacts. It operates at a voltage rating of 125-Volts and current rating of 15-Amps. This receptacle supports maximum load capacity of 1/2 HP. It comes with compression plates that maximize holding power to provide secure connections for 12-AWG wiring. It provides an external back-wire clamp for fast, easy and secure installation of 20-Amp circuits in residential applications. It is suitable for general purpose applications. The tamper-resistant straight blade duplex receptacle meets UL UL498 File No. E2186, CSA C22.2 and No. 42 NEMA® WD-6 standards.